Courtesy of 1st RE Services, Brian Carlson. 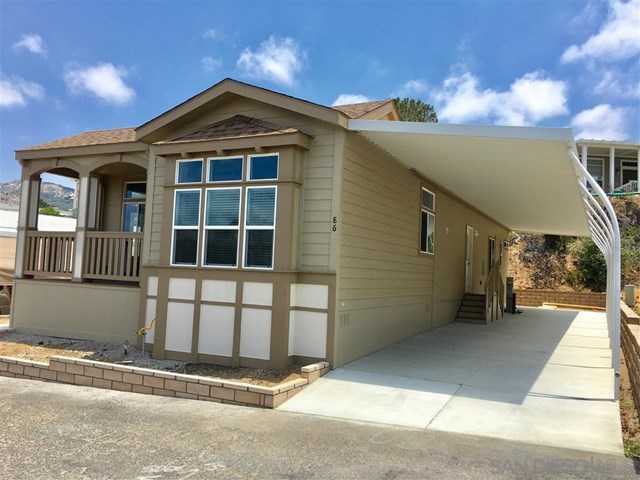 Another brand new Silvercrest (top o’ the line) Manufactured Home located in a very prestige, desirable and well managed country club community (with golf and tennis). This home boasts a lot of upgraded options (too many to list), and sits on a lot with mountain views. Please, send me more information on this property: MLS# 190006542 – $433,900 – 4650 Dulin Rd. Unit 86, Fallbrook, CA 92028. I would like to schedule a showing appointment for this property: MLS# 190006542 – $433,900 – 4650 Dulin Rd. Unit 86, Fallbrook, CA 92028.